The Axeon Second Zero is a precision optical device that gives any rifle shooter an instant additional zero distance whether in a hunting or tactical application. Rifles and scopes are more capable now than they’ve ever been in the past. Modern manufacturing techniques offer a level of precision that makes even cheap rifles shoot well and offers good visibility from even inexpensive scopes. However, most of the less expensive scopes have capped elevation turrets designed to be zeroed and then left alone. This can spell trouble if the shot of a lifetime measures 300 yards or more. The worst mistake to make is to “hold at the top of his back” and let one fly. That’s usually nothing more than a guess, since no one likes to move the crosshairs off fur. The historical fix is a more expensive scope that allows dialing, a ballistic calculator, and some time invested to learn how to use the new equipment. 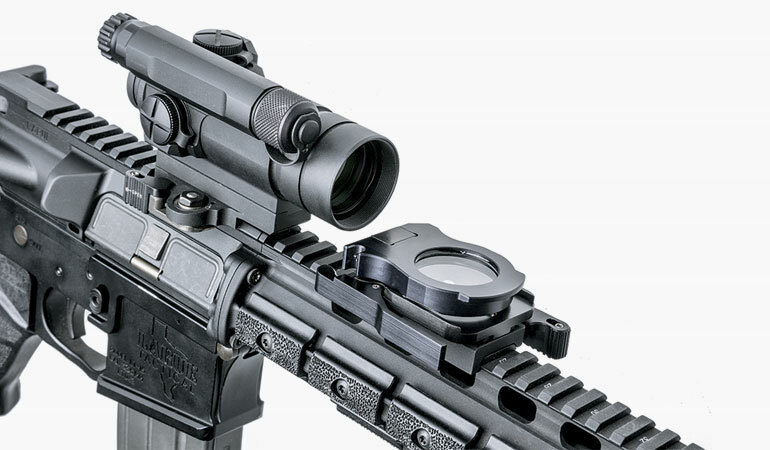 However, a new company called Axeon Optic Solutions offers a simple and inexpensive device that allows shooters to have an additional zero with the scope that is already on the rifle. 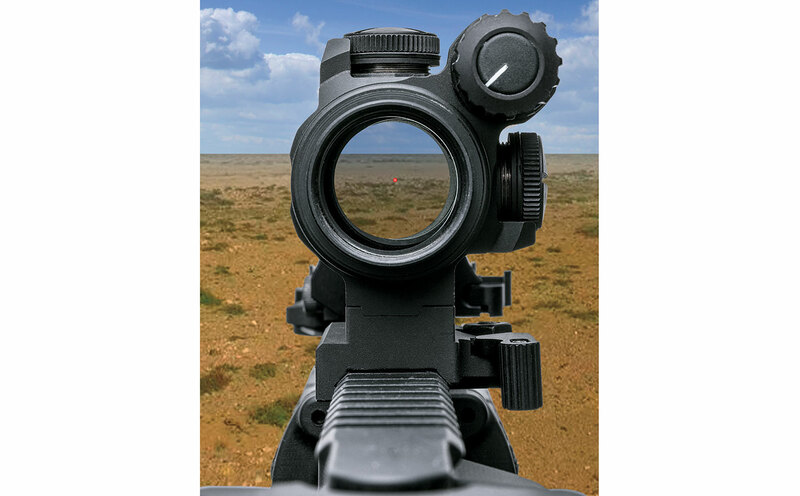 Their appropriately named “Second Zero” is a lens that slips in front of the scope’s objective and does a very controlled bend of incoming light to move the crosshairs a specified amount. The use of the “Second Zero” optic requires nothing more than Axeon’s lens cap or flip-up lens. Once in place, it has no negative side effects on the scope and requires no additional effort from the shooter. It’s either open/closed or up/down and that’s it. It would be impossible to make having an additional zero any more simple or easier. When engaged, the prisms of the Second Zero™, which can be selected based on a hunters’ specific ammunition load, shifts the image to compensate for bullet drop. Simply place the crosshairs on the target just as you would at 100 yards. The model I tested was designed for use on a Picatinny rail and drops in front of any scope mounted on such a rifle. I zeroed the rifle at 100 yards and then used the Second Zero device to establish an additional zero at 500 yards. I could easily shoot my target at 100 yards, flip up the lens, and immediately move out to 500 yards. The prism lens in the device automatically shifted the image by 11.5 MOA meaning I could hold right on my target. I used no holdovers and there was no guessing involved. The beauty of the Second Zero is its simplicity. Simply flip it up to provide instant bullet-drop compensation for any scope or red dot sight. The beauty of the Second Zero is its simplicity. There are no moving parts other than the flipping the lens into place. It’s just a lens that sits in front of your scope. It is also unfailingly effective in doing what it says it does. Axeon has models that offer an additional zero at right around 330 yards (4.3 MOA) or at 530 yards (11.5 MOA). There is a spreadsheet on their website that shows which models do what for several cartridges. You simply need to know the objective size of your scope or red dot to determine which Second Zero model you’ll need. There are two types of Second Zero lenses. 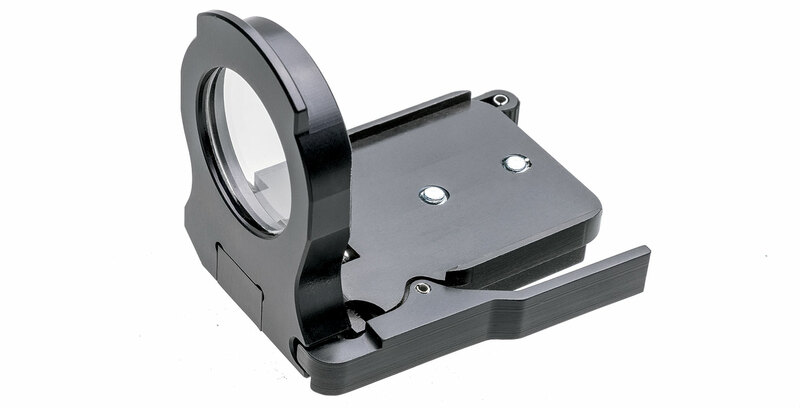 The version shown here attaches to a Picatinny rail while a second version attaches to a scope’s objective lens housing. There are two types of Second Zero lenses: one version that sits on a Picatinny rail and a second version that attaches to a scope’s objective lens housing. 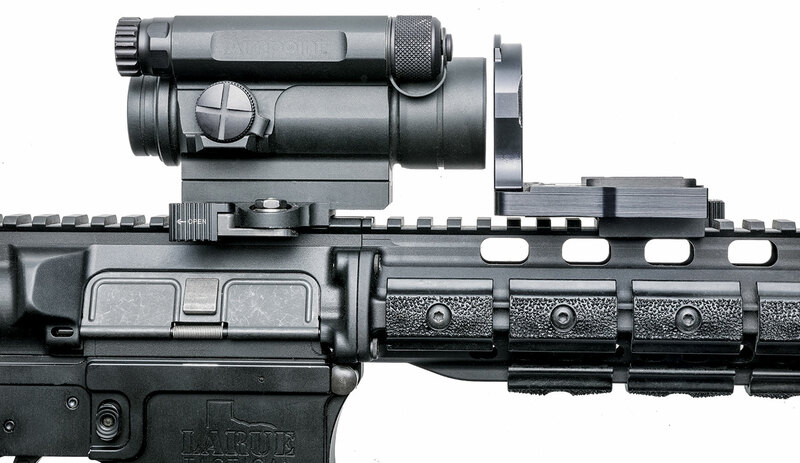 Most AR-pattern rifles will want the pic rail lens and everyone else will likely desire the lens that attaches to the objective bell. Models are offered to fit 40-44mm and 50mm objective lenses. The idea might sound radical, but the technology behind the Second Zero has been around for a few years and has already been tested to great success on the battlefield by our own and allied Special Operations forces. Manufacturer’s suggested retail price is $60.